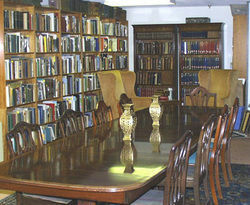 Southern New England Antiquarian Booksellers is an expanded incarnation of Massachusetts and Rhode Island Antiquarian Booksellers, which began in 1976. SNEAB has about 150 members from Connecticut, Massachusetts and Rhode Island. We include generalists and specialists, those with open shops, those who sell by appointment, mail, catalog, online, or at fairs, businesses with considerable history and repute, as well as part-timers and recent aspirants. Members offer early, modern, collectible, rare, scholarly, fine, and used books, manuscripts, ephemera, prints, maps, autographs, postcards, and photographs in a great range of subjects. We strive to be friendly and inclusive. Applicants supply two trade references and are submitted for approval at our next business meeting. We have a code of ethics on our website. We publish an annual directory, maintain a website, and sponsor two annual book and ephemera fairs, a spring fair in Wilmington, Massachusetts, and fall fair in Northampton, Massachusetts. Bookseller of used, antiquarian, and out-of-print books in all subjects. On-line sales only.